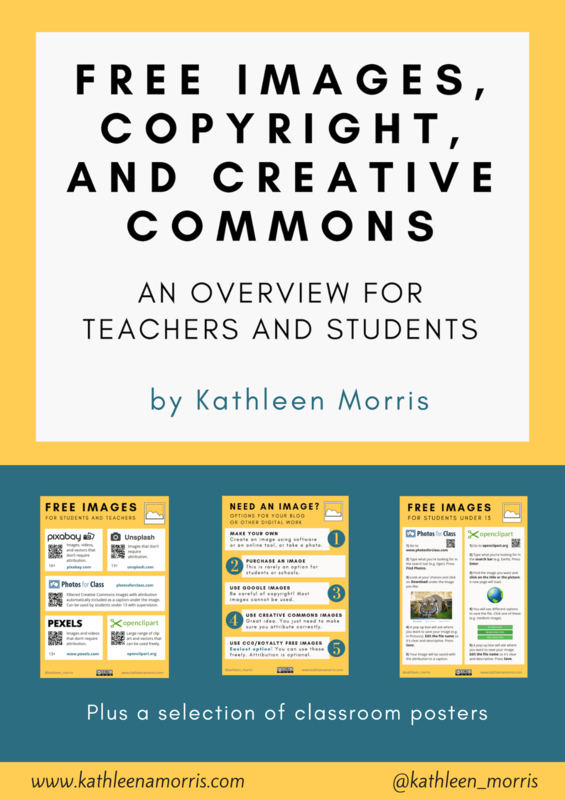 Note: since writing this post, I have created a more detailed guide to helping parents connect with your class blog. Find it here on the Teacher Blogging Challenge site. After having a class blog for three years, I have got the message loud and clear that parents and families love being able to keep up with the classroom events and student learning. How do we get parents more actively involved in the class blog? Most of my parents have email subscriptions to the class blog and read most posts but actual comments from parents haven’t been overly frequent. This seems to be common in the world of blogging and social networking. Apparently 90% of readers never contribute, 9% contribute a little and 1% contribute a lot (click here to read more about that research). I would say this statistic is true in regards to my class blog. The first step to get parents commenting is education. At the start of the year I send home a detailed tutorial on how to leave a comment which you can read more about in this post. I have also made a page with video and written instructions on the class blog here. Next year, I will also demonstrate how to leave a comment at our parent information evening. Here are two initiatives I have trialled which successfully encouraged parents and families to leave more comments on our blog. This idea came from Linda Yollis who provides a wealth of information on educational blogging on her wiki here. I adapted Linda’s model for my classroom and I have now repeated the concept a few times. 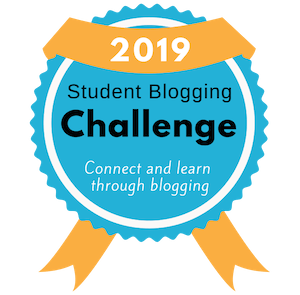 This idea involves declaring a certain month “Family Blogging Month” and encouraging students to get as many of their friends and family to comment on the class blog as possible. I kept a star chart to keep track of comments. At the end of the month the child/family with the most comments receives a prize. For our May is Family Blogging Month challenge which you can read about here, almost all families joined in and we received 275 comments. We asked the local pizza restaurant to donate a voucher as a prize and the winner also got to write a guest post on our class blog. 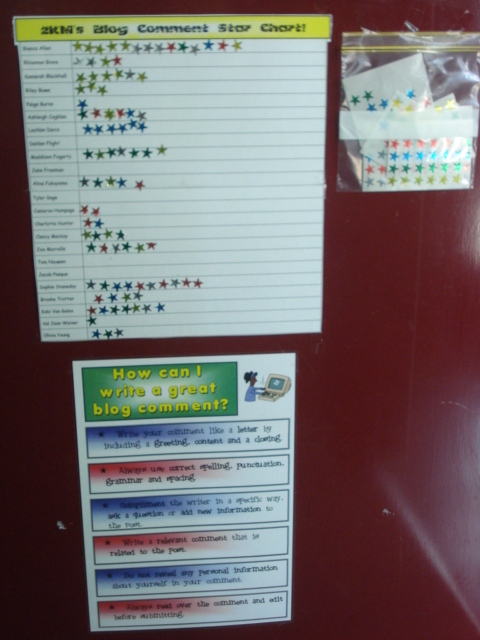 Next time, I think I will keep a star chart for the number of different people the students invite to comment on the blog rather than the number of comments in total. Last week, I trialled another idea, inspired by Henrietta Miller. I wrote a post specifically for parents (and anyone else) to comment on. The topic was “What was school like for you?” I sent an email to all parents asking them to comment. The response has been amazing! We have had more comments on this post than we have ever had on any post. The students have been fascinated by the information in the comments and some thoughtful conversations have been developing. Next year, I plan to do regular “Question for Parents” posts to involve families in the blog more. I am always on the look out for new ideas to encourage families to comment on our class blog. Fantastic ideas Kathleen! We have had the same problem – how to get parents involved? Out of a class of 20 I have only had 4 or 5 parents comment and only 1 or 2 semi-regularly. We haven’t had a parent night which is probably our first step next year. I love the ideas you have given – thanks once again for sharing so generously. Every happiness for your wedding and I hope the day is beautiful weather wise! @ Marie, thanks so much for your kind words! I’m hoping the weather will be good! Good luck using those ideas with your parents. Look forward to hearing how they go! Another great post on blogging. I can’t wait to start with my new class next year putting all these ideas into practice and seeing how much of a difference it makes compared to my first blogging attempt with my last class. From your suggestion, I ran a family blogging month and I think, like you, it was successful for that month but then died down after that. In thinking about why it is that parents might have commented on your post directed to them compared to other posts, I thought perhaps it could be that they don’t know what to write. Your post about ‘what was school like for you?’ everybody would have had a direct experience with that and it’s likely to have some differences to what other people say. However, for normal posts about classroom work etc. I wonder if parents feel like their comments would be there for the sake of it rather than to add meaning or would just be reiterating what others have already said or that their post would be nothing more than just stating the obvious. Perhaps the next stage in getting parents to comment would be modelling for them the type of comments they could leave or something like that. Perhaps that would help break down the problem (if indeed that is the problem). Thanks for your comment. I think you could be on to something there. Parents might feel like they are just commenting for the sake of it so don’t bother. Perhaps we do need to look at making comments more purposeful. Modelling comments is also a good idea. Like you, my parent participation declined dramatically after the challenges so I’ll think I’ll look at the ideas you put forward for next year. Thanks for the wonderful ideas! My students love to blog and enjoy receiving comments. @ Susie, I’m so glad you liked the ideas and I hope they work for you! Thank you for mentioning my class blog here Kathleen. When my co-teacher and i decided to pose this question to our parents we had no idea that we would receive as many lengthy comments as we did. Asking them to reflect on their own schooling seemed to hit a chord with them. Asking them, as we did, in the week of NAPLAN; allowed the to reflect and focus on the pressure some of their children were under. Not one parent could remember school days tests being quite so stressful, so early in their lives. It has been a struggle to get more parents commenting more often but we also had some success when we posed the question ‘Should mobile devices be allowed in class?’ With some interesting and thought provoking responses. So I think asking them a direct question is the way to go. You certainly did hit a chord! I’m so glad you’ve been able to share what you did as I really believe the direct questions are the way to go. The mobile phone question is a great one too. It’s good to ask a question about something you know they’ll have an opinion on! What a wonderful idea and way to get parents (and families) more involved in what is happening at school! I suspect that many parents don’t comment because they aren’t familiar with the blog as a platform outside of your class (I know that was true in my case). 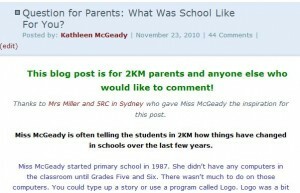 I’m sure the kids helped parents learn about blogging as they encouraged them to comment. @ Kelly, I agree these are great ideas that Linda and Henrietta thought of! So simple yet effective. As I mentioned, I also feel that education is the biggest obstacle for some parents. It’s really important that we address this first. Only a couple more weeks of school for us then it’s back to basic with a new group of students and parents again! These are great ideas! Thank you. As I am just beginning my journey blogging for parents and having my students start to blog, these ideas will be very helpful. Hi~I’m a special-ed teacher in Taiwan,Taipei. I’m study on Web2.0 on special education. I’t so good to find your great blog by using google. I have a blog, too. And I’d like to introduce it to you..